The US House of Representatives passed a bill to halt all transfers from the Guantanamo Bay prison camp until the next president takes office, or the 2017 military budget is passed. 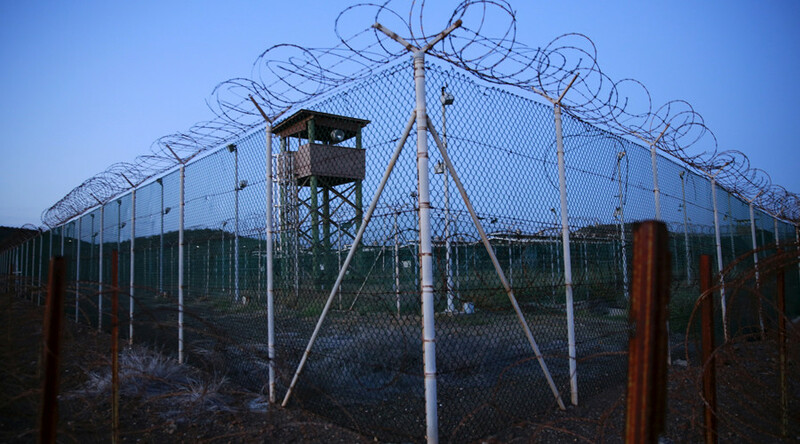 There are currently 61 inmates at ‘Gitmo’, with 20 cleared for release. House Resolution 5351, introduced by Indiana Republican Jackie Walorski, passed with 244 votes in favor and 174 opposed. “With the passage of HR 5351, the people’s House is sending a strong and clear message that our national security and the lives of Americans are most important,” said Representative Brad Wenstrup (R-Ohio), one of the bill’s co-sponsors. “In the latest round of releases, the President just transferred 15 dangerous detainees to the United Arab Emirates. Why has he not put forth a comprehensive detention and trial strategy for these dangerous individuals instead?” Wenstrup added. HR 5351 prohibits the transfer of any remaining detainees at Guantanamo Bay until the next administration takes office, or the 2017 National Defense Authorization Act (NDAA) is passed, whichever comes first. Though the vote was largely along party lines, four Republicans opposed it and twelve Democrats voted in favor, the Washington Examiner reported. Continuing to hold the remaining detainees is a violation of the US Constitution and due process, argued Washington Democrat Adam Smith, ranking member of the House Armed Services Committee, during the debate on the floor. “We are not a dictatorship, we are not a country like Saddam Hussein used to run where he used to lock people up because he wanted to," Smith said, according to the Examiner.